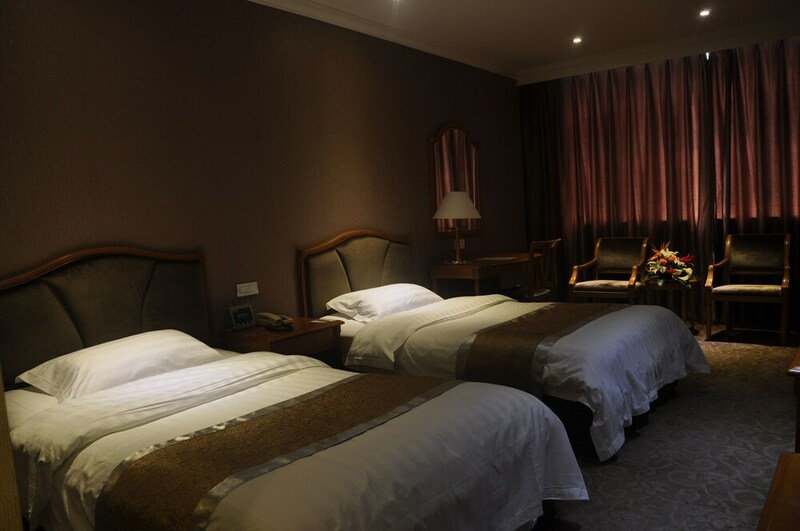 Located in Chengdu City Centre, this hotel is within a 15-minute walk of Tianfu Square and Sichuan Museum of Science and Technology. Chengdu City Sports Center and People's Park are also within 1 mi (2 km). Jinjiang Hotel Station is 8 minutes by foot and Tianfu Square Station is 12 minutes. This hotel features 2 restaurants, a fitness center, and a bar/lounge. WiFi in public areas is free. Additionally, a coffee shop/café, a spa tub, and a sauna are onsite. In addition to a spa tub, ChengDu Garden City Hotel features a sauna and a fitness center. Dining is available at one of the hotel's 2 restaurants and guests can grab coffee at the coffee shop/café. The property also has a grocery/convenience store. A bar/lounge is on site where guests can unwind with a drink. Wireless Internet access is complimentary. This 3-star property offers access to a 24-hour business center. This business-friendly hotel also offers tour/ticket assistance, multilingual staff, and coffee/tea in a common area. ChengDu Garden City Hotel has designated areas for smoking. Garden Restaurant - Onsite restaurant. Harbour City Restaurant - This buffet restaurant serves breakfast only.